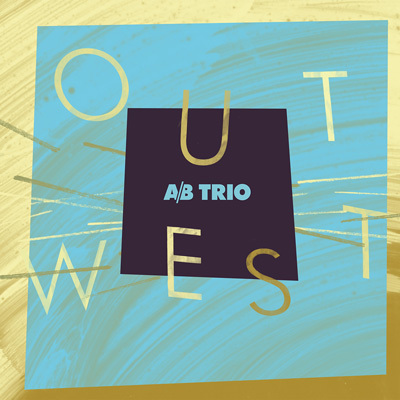 A/B Trio brings together three of Albertas most in-demand performing and recording jazz musicians – Thom Bennett (drums), Dan Davis (saxophone), and Josh McHan (double bass). This ensemble is inspired by the open sounding, chordless groups of Sonny Rollins and Joshua Redman, as well as the work of Chris Potter and Ari Hoenig. Their material ranges from inventive re-interpretations of standards to modern, original repertoire and high-energy groove-based music. Its fresh, accessible and compelling music for all jazz lovers. Multi-talented drummer, Thom Bennett splits his time between performing, producing, and engineering. An in-demand professional musician, Thom performs regularly throughout Canada with a plethora of artists including A/B trio, MIXTAPE, Ann Vriend, Mo Lefever, and dozens of other artists. His extensive touring experience has led him across North America and Europe playing festivals, clubs, coffee houses and corporate events where he has shared stages with the likes of Kathleen Edwards, Jacksoul, Brad Turner and Mark Murphy. When not maintaining his busy gigging schedule, he splits his time between producing and engineering records at Sanctuary Studios in Edmonton, teaching students and composing music for a variety of genres. Josh is one of western Canadas most in-demand bassists. A graduate of the McGill Jazz Performance program in Montreal, Josh now makes his home in Edmonton where he is a regular feature on the jazz scene, playing with such Edmonton luminaries as Tommy Banks, PJ Perry, Jim Head, and Chris Andrew. He is also in high demand as a sideman for various singer/songwriters, performing both live and in the studio. Having recently received his Masters degree in Double Bass Performance, Josh can now also be seen performing within the classical realm, including several concerts with the Edmonton Symphony Orchestra. Josh also teaches at MacEwan University.